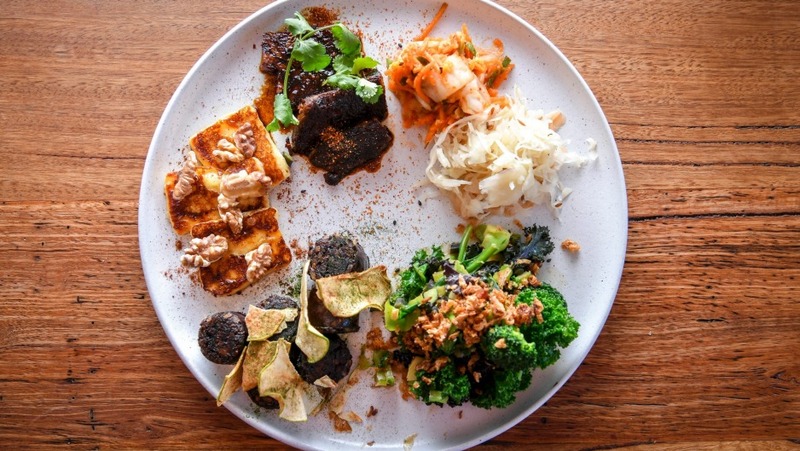 If you – like me – believe that sides and condiments are often the best bit of a meal, then you – like me – will love Small Graces, a petite, welcoming, year-old cafe one street back from Footscray's main strip. The daytime menu is dominated by a long list of small dishes that you build into a meal. Select one, five, nine, whatever, and the kitchen will arrange them on a plate as though they were meant to be together all along. Stay safe with toast, poached eggs and braised mushrooms with thyme. Go weird and pair haloumi with housemade XO sauce. Hone in on the beautiful morcilla, a spicy Spanish-style black pudding. Feast big on melty-soft beef short rib, wilted greens and smashed avo with almond feta. If you can imagine it, you can eat it. Unless it is bacon. There is no bacon here. Instead, chef Diego Portilla Carreno slow-cooks spiced pork shoulder and finishes it on the grill. It's a point of difference that highlights the strangeness of bacon's ubiquity on cafe menus and also reveals a Small Graces' philosophy. That is, to use underloved cuts, to be conscious of provenance and to minimise waste by making the most of every ingredient. A no-waste ethic is also expressed in those wilted greens that make heroes of broccoli stalks and kale stems, loving them up with miso and topping them with crisp shallots. It's seen in the carrot tops that are turned into a salsa for the shared-plate dinner menu. Even the beetroot pulp that's a by-product of juicing is jumbled with hazelnuts and turned into a crumble for the house-cured salmon on rye. It's as creative as it is sustainable. If you're not into compiling your own meal, Small Graces also has composed dishes. "Pumpkin and friends" is one of a handful of items that are bolted to the oft-changing menu. 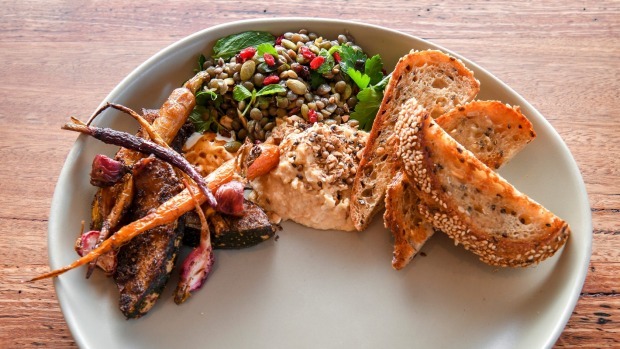 A wedge of roasted pumpkin is the centrepiece and lentils, glazed carrots and hummus jostle exuberantly on the plate. There's also a ricotta gnocchi with jammy roasted fennel, blue cheese and radicchio. It's simple but composed with such poise and care that you can tell there's a deft chef behind it. And indeed, Portilla Carreno cooked at Annie Smithers Bistrot and Lake House before moving to Melbourne with his designer wife Rebecca Howell. 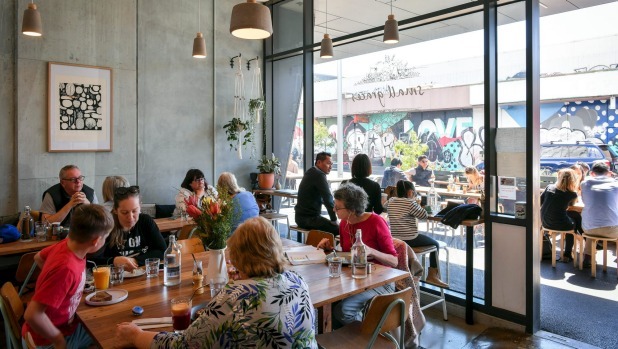 Together, they decided a homely cafe was the right speed for their first business and tight-knit Footscray was the perfect place. Portilla Carreno was born in Colombia and there are some South American influences. His arepa, a palm-sized savoury corn cake, is on the DIY menu and also turns up in the huevos pericos, an egg scramble with tomatoes and onions. Arepas are made with a particular white corn meal that's pre-cooked, quite coarse and rather starchy. The resulting patties are dense and springy and, in this case, oozy with cheese. They're the best I've had in Melbourne. Small Graces' conviviality is signalled by the communal table that takes up most of the small room. It's also expressed in the warm service, vibrant food and drinks (housemade chai!) and earth-friendly ethics. For the diner, a visit turns the daily necessity of eating and drinking into an energising and enriching interlude. Rating: Four stars (out of five).